Master Mentality is an important addition to the rather sparse literature available on the little-known subject of contact mind reading. Contact mind reading is generally believed to be almost impossible to practice and hard to learn. Stanton Carlisle demonstrates that this is not at all the case. His instructions share all the secrets of a successful performance and the techniques to learn and master this art. 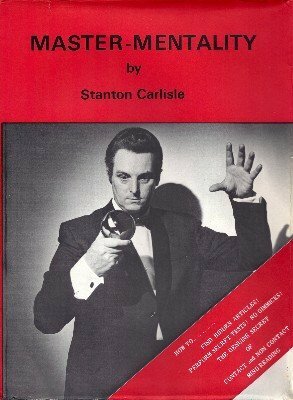 I consider this the most important work of Stanton Carlisle. He shares many bits and tips of the business of mentalism in general, not just the techniques and methods to become a contact mind reader. 1st edition 1978; original 87 pages; PDF 74 pages.